Our childhood dream are not necessary the best for us. 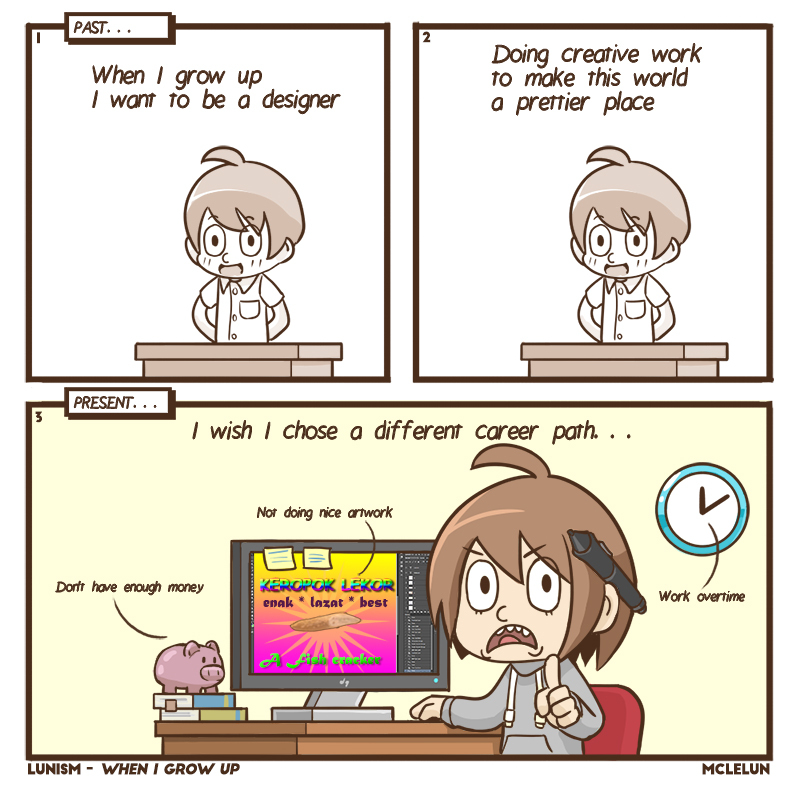 Also this comic is not base on my own experience as I am not really a designer in real life. I worked more as a multitasker.